In January 2015, selected children from Greenmeadow Primary School took part in a two-day workshop with illustrator and artist Huw Aaron. 15 young people between the ages of 7 and 10 created their very own comics – creating a storyboard, characters, and artwork all of their own. 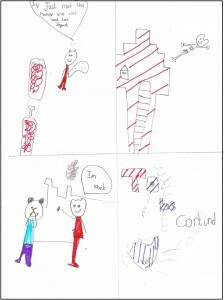 The finished comics will then be printed in a pamphlet so they can share their work with family and friends. The students had been struggling with some key literacy skills, but regular attendance of the Communities First Comic Club and a project like this is a way of conveying the joy of reading and writing. 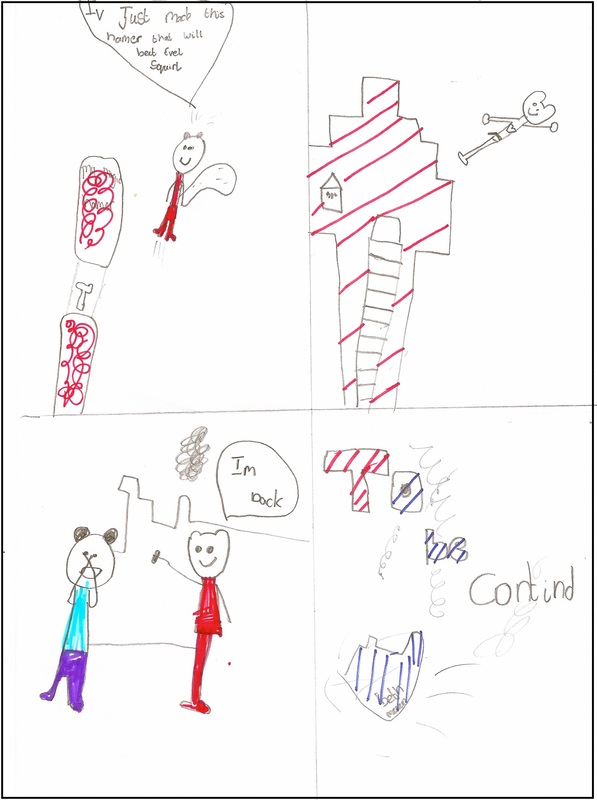 Characters who came to life on the page include: the Four Musketeers (girls, of course); the victorious Hameleg; the amazing Super Squirrels; and a talented football star! 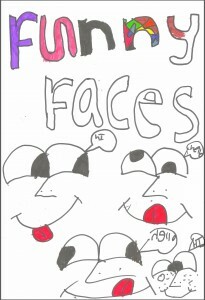 There are love stories, action stories, tales of growing-up and even a page of one-line jokes – something for everyone. 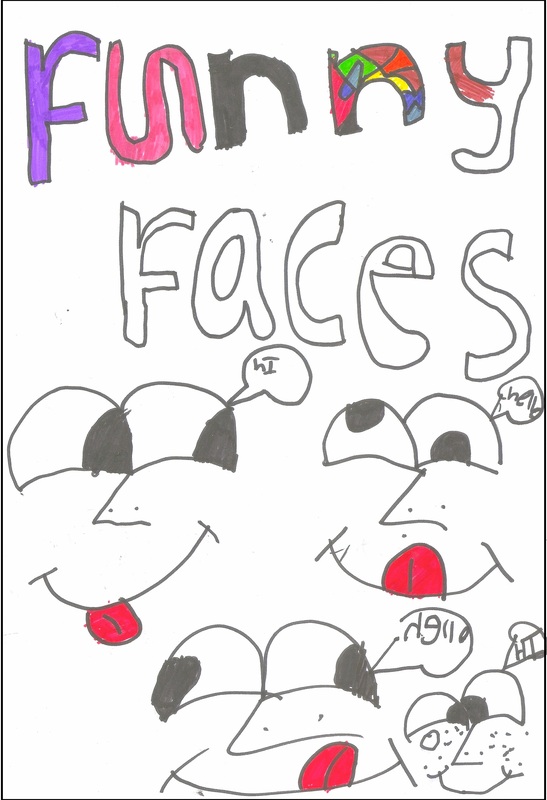 The collection of work is called Funny Faces, and the project was organised and supported by Communities First Thornhill and Literature Wales. 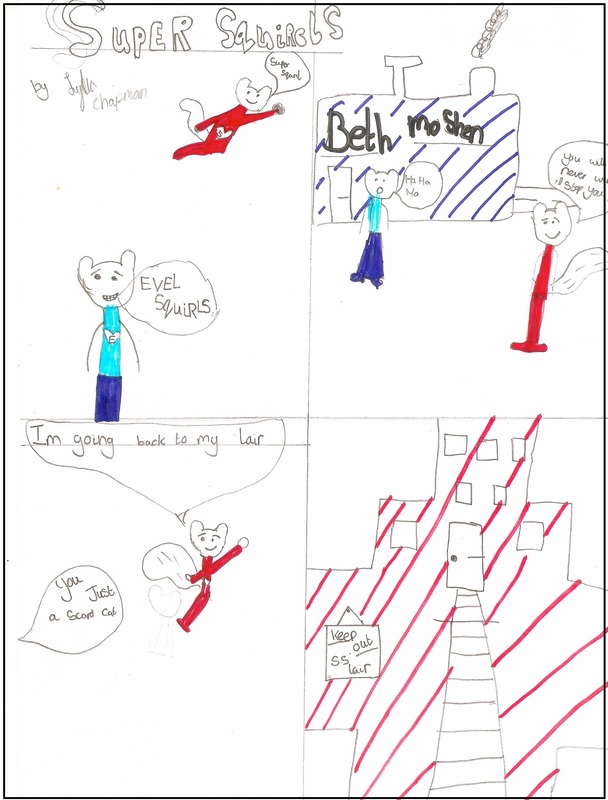 After the success of the project, similar creative scribbling and comic-book making is planned in several other schools in Torfaen, including working with older secondary-school students.